// Brock and I moved into our (current) Dream Home surrounded by trees with views of the ocean. // We got dressed up all pretty for not one but two weddings down in Sydney. // I (finally) graduated college. // California. Yes Brock and I got over there. The Tone It Up Retreat changed my life + was the best 4 days of my life. Period. 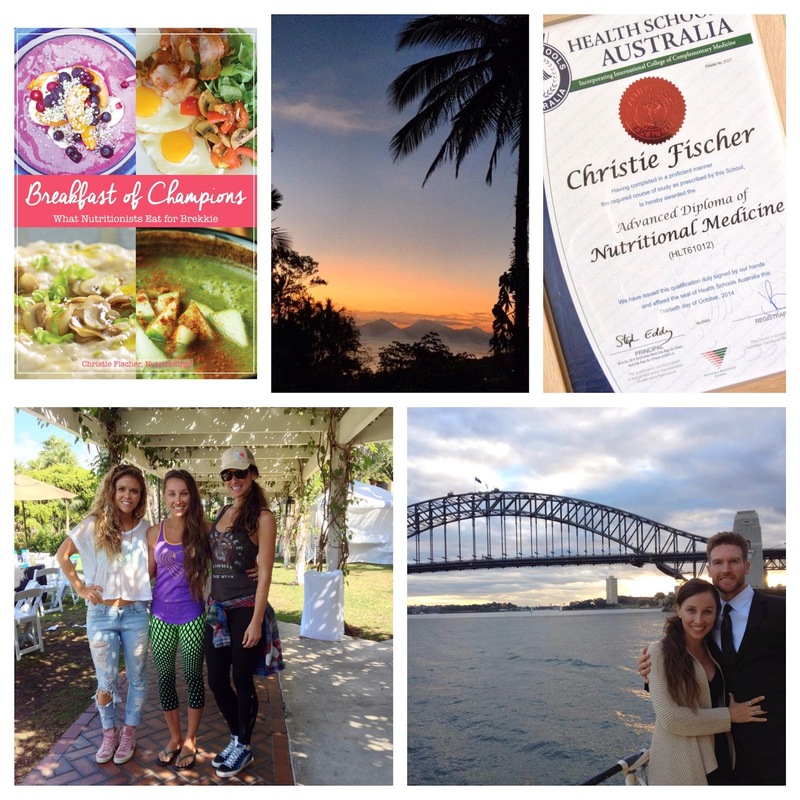 All the cool kids we met and David Wolfe's Womens Wellness Conference also need special mentions here. // I created my very first ebook (after 5 years blogging). I hope you had a wonderful Christmas and a fabulous New Year. I loved my time down on the Sunshine Coast and was just as excited to get back home to Cairns and spend New Years chilling on the esplanade with friends, food and mojitos, watching the fireworks and chatting as the night continued on. I always love New Year and not so much for the whole grand-evenings-plans fuelled and filled with alcohol, bare feet and partying. In fact I'm happy to sit at home watching a movie with my man. It's New Years Day that really gets my belly fired up. Waking up at dawn. Getting to the ocean. A jog outside. And really starting my day - and my year - with enthusiasm, vigour and excitement! And that's where I'm starting. // How do you want to feel this year? You might chose one word or you might have a whole bunch of words. But if you get even a little clearer on how this might feel for you, then you will find that everything that aligns with that can fall into place with much more ease. // What types of people do you want to spend my time with? As the saying goes, we are the average of the 5 or 6 people we hang around the most. So have a good close look at those people. Are they lifting you up and supporting your dreams? Or are they dragging you back down with gossip and complaints about how their life is so tough? Are your friends out there going for what they want in life and really putting themselves first? Or are they choosing to plod along and let life direct them instead of them direct life? // What one thing do you know you want to achieve no matter how scary or big it seems? Life passes us by every second, every minute, every hour, every day, week, month, yep, every year. Whether we sit still and do nothing, or jump in feet first, this year will still pass. So what are you going to do with your time? And now I would love if you would share with me in the comments below, 3 specific words to describe how YOU want to FEEL this year. And if you want to add on anything you would love to see in 2015 from me, please let me know in the comments below. I'm here to support and educate you and I only know so much without your help. Thanks for sharing gorgeous... See you Thursday. Great post as usual Christie! Love your highlights for 2014 and Love your plans for 2015! Keep doing what you are doing, you and it are AWEsome! So 3 words huh? ..let's see..
LOVE THESE Jade! Thanks for sharing chicka! My word for 2015 is 'Shine'. I'm going to Shine my light in everything I do - be the biggest, brightest, boldest me I can be!